I am grateful you've taken a moment to check out our website, and I hope it serves as a way to find out more about this dynamic, growing congregation. In all that we do, we seek to live a vibrant faith, grow and nurture hope in each person, and share the unconditional love of God. You may be viewing this website as a visitor; it is our prayer that in time, you become a close friend. 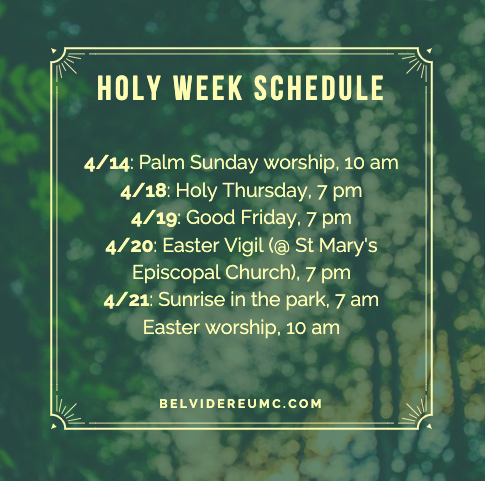 Sign up for weekly updates from Belvidere UMC!